As a harmless amusement, to distract my thoughts from the perennially depressing revelations about sexual abuse and corruption in the Church, I took up working out the genealogy of my family. Some pleasant surprises on my side: a staunch Confederate, and a soldier who was on the muster rolls at Valley Forge. Also indirect relationship, but real and traceable, to Lady Beatrice Weasel, King Alfred, and best of all, Lady Godiva. My wife’s family had some very successful industrialists, such as the great-grandfather who invented the open hearth process for making steel and built blast furnaces all over the world, naming many of them (to the puzzlement of historians) after his daughter Lucy, a woman of forceful personality. Others were classic American stories: from ticket agent to president of the New York Central Railroad, from cabin boy to owner of a steamship line. Another ancestor was James Caldwell, an English actor who came to the United States in the early nineteenth century. He played Romeo in the theater in Fredericksburg, Virginia; during the death scene the widow Wormeley sighed and fainted. One thing led to another, and over the opposition of all her relatives, she married him, producing a son, William Shakespeare Caldwell. Having dipped his toe into the gene pool of the First Families of Virginia, James Caldwell returned to the theater in New Orleans where awaited his mistress, a Jewish actress by the name of Margaret Abrams. My wife (to the consternation of her mother) is descended from that activity on the wrong side of the sheets. So far, so good. Hot stuff. Caldwell made a fortune lighting first his theater and then the cities of New Orleans, Mobile, Memphis, and Cincinnati with gas. Shake Caldwell (as William Shakespeare was known), went to the University of Virginia, and married another FFV maiden, producing two daughters, Mary Gwendolin and Mary Eliza (these are my wife’s first cousins, three times removed). The Caldwells, I gather, may have been from a Catholic (if somewhat sexually irregular) background, because he and his wife prayed to Mary for children, which is why they were both named Mary. The mother died; the father, although he had already established the Little Sisters of the Poor in Richmond, postponed becoming a Catholic until just before his death, when he was baptized. He left the daughters in the care of Irish Catholics he had met in New York. They turned over the care of the daughters to the thirty-two-year-old Father John Spalding, nephew of Archbishop Martin Spalding of Baltimore. Mary Gwendolin was eleven and Mary Eliza nine. John Spalding was chaplain at the Convent of the Sacred Heart in Manhattanville, and took over their education, travelling with Mary Gwendolin to such an extent that it caused gossip. He became trustee of their estate. At the age of twenty-one, Mary Gwendolin, under the guidance of now-Bishop Spalding of Peoria, purchased the land in Washington D. C. for the Catholic University of America and gave money for the erection of Caldwell Hall. She was honored by Pope Leo XIII for her generosity and received the Laetare Medal from Notre Dame in 1899. Mary Gwendolin’s wealth attracted the attention of Joachim Napoleon Murat, the heavily-indebted grandson of the King of Naples; he wanted half her wealth as her dowry, so he could pay off his gambling debts. She said no dice. Instead she married a French marquis, Bishop Spalding presiding. It did not work out; they separated, and she pensioned the Marquise off so he wouldn’t divorce her, which would cause her to lose her title, Marchioness des Monstiers-Mérinville. Her sister Mary Eliza gave the money for Caldwell chapel. In it, with Bishop Spalding presiding, she married a German baron who was killed when Kaiser William’s yacht ran into his yacht during a regatta, leaving her the Baroness von Zedtwitz, with a four-month-old boy who became the bridge champion of the world. Spalding became the boy’s guardian. Mary Gwendolin then became ill, and in 1901 revealed a dark secret to her sister: that she had been sexually involved with Spalding for twenty years, that is, it started she was nineteen. There were scenes. He was up to be made Archbishop of Chicago, but the Vatican investigated and instead made him retire at age sixty-eight. In 1904 both sisters publicly renounced Catholicism, although not directly accusing Spalding. 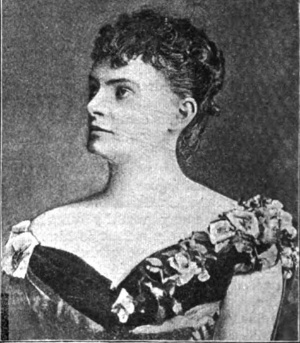 Privately Mary Elizabeth called Spalding “a whited sepulcher,” “a liar,” a “sensual hypocrite,” of “a private life of iniquity and license” and “a very atheist and infidel.” She offered to come to Rome with witnesses to testify against Spalding, whom she had known “intimately” (her emphasis). Both sisters were denounced by Catholics as sick, crazy, spoiled rich girls who threw tantrums and made wild accusations when life didn’t turn out the way they wanted. 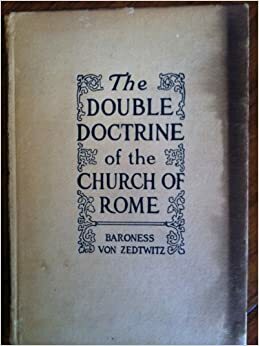 In her own defense, Mary Elizabeth, under her title of Baroness von Zedtwitz, wrote a short book, The Double Doctrine of the Church of Rome. She condemned the Jesuits, the doctrine of probabilism, equivocation, and the sexual failings of a supposedly celibate clergy. In the 1950s, while he was writing a dissertation under the guidance of the John Tracy Ellis, the Franciscan priest David Sweeney discovered these allegations about John Spalding. Ellis did not believe the allegations, so they were simply suppressed, and the dissertation became the standard biography, The Life of John Lancaster Spalding. Andrew Greeley later claimed Sweeney and Ellis suppressed incriminating evidence. 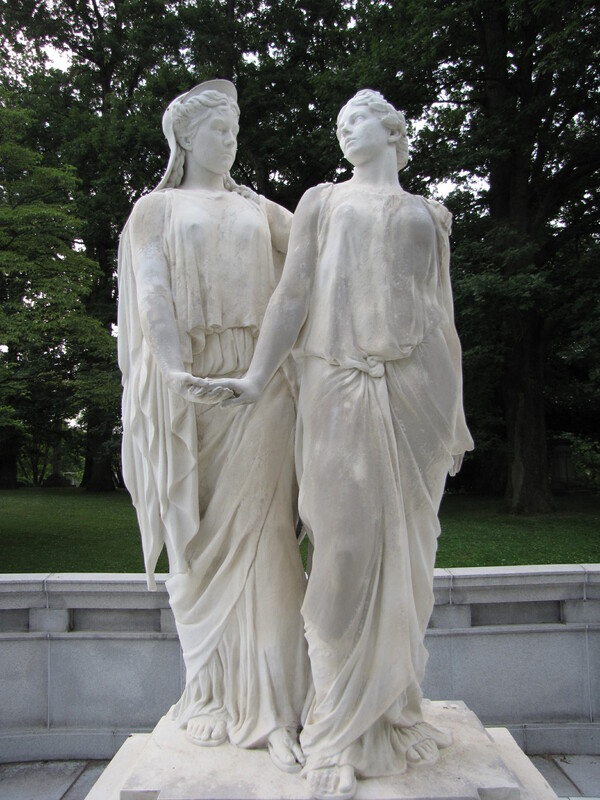 C. Walker Gollar, the great great nephew of Bishop John Spalding, in 1995 published an article in the Catholic Historical Review, “The Double Doctrine of the Caldwell Sisters,” defending Spalding, implying that illness and disappointment had driven the sisters mad. Poor Spaulding had his career ruined, absolutely ruined by these crazy, hysterical women – mere women. Gollar in a later article examined Ellis’s decision to suppress what Gollar thinks are false charges against Spalding. · Neither the interviews the sisters gave nor the book (available online) sound irrational. · It is hard to explain their bitterness unless something terrible had happened to them or they had discovered something terrible. The sisters were not naïve; they were women of the world, and would not have been scandalized by rumors that a priest in a Roman suburb might have a mistress. Mary Gwendolin could not have publicly accused Spalding, without also ruining herself. · Archbishop Riordan looked into the charges and wrote to Rome “I had hoped he was innocent but I am now satisfied he is guilty.” Riordan later changed his mind for unspecified reasons. · Enough officials in the Vatican believed the charges to block Spalding’s promotion. This at least shows that Spalding’s behavior was not considered either common or acceptable. But the hierarchy’s sole concern was to prevent scandal, which they interpreted to mean damage to the reputation of the clergy. They showed no concern for the tragedies and possible betrayal the Caldwell sisters had experienced. · The tendency of historians and journalists and church officials to protect powerful men at the expense of the women they have injured also fits a general pattern. · Spalding’s defenders (mostly the Spalding family) claim that Mary Gwendolin was mad at him because she wanted an annulment and he wouldn’t arrange it; but she had pensioned off the Marquis so he wouldn’t divorce her. · Spalding lied about never being a trustee but documents show he was appointed by the court. · Even if the sexual relationship began when Mary Gwendolin was an adult, it was abusive, adulterous, and quasi-incestuous, as Spalding functioned as her guardian and father. It was not an “affair,” as some historians have called it. Moreover, abuse victims usually cannot admit the worst, so the abuse may well have started when she was a child. · The relationship of Mary Gwendolin and Spalding fits the classic pattern of Stockholm syndrome. The perpetrator keeps the victim psychologically off-balance by sudden changes from kindness to abuse. The victim feels that the only hope for safety is pleasing the perpetrator. If the victim is fortunate, she or he may suddenly snap out of the trance and realize that she or he has been induced to live in fantasy-nightmare world that the perpetrator has created. If the allegations of the sisters are true, and the great preponderance of the evidence points in that direction, the Catholic University of America was founded by Spalding, who was, according to the sisters, a sexual abuser and an atheist, with the money of the woman he had abused. Mary Gwendolin died at forty-five and Mary Elizabeth at forty-four. 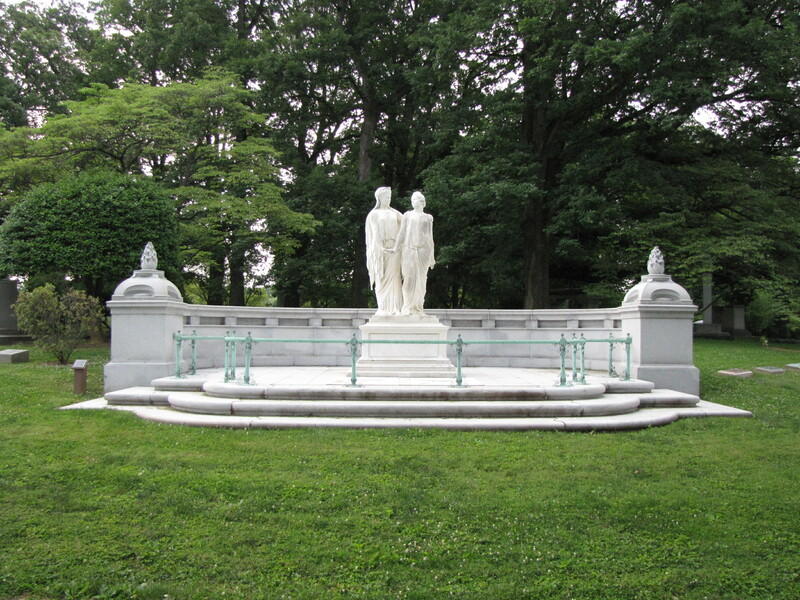 The Caldwell sisters were buried in a secular cemetery, not in their father’s grave in the Catholic cemetery in Louisville. On their monument stands the inscription: You shall know the truth, and the truth shall set you free.